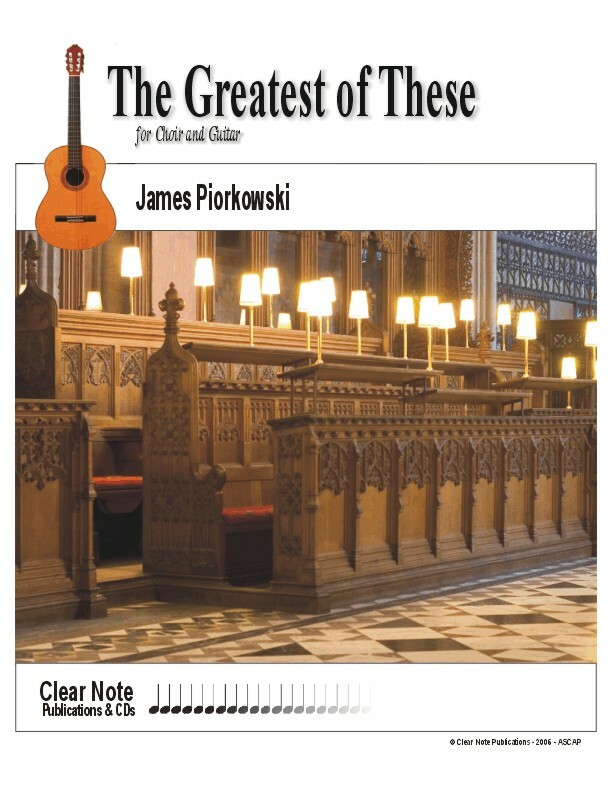 In 1999, Piorkowski was commissioned by the Fredonia Chamber Singers from the State University of New York to compose a new work for choir and classical guitar. For the text, he selected the 13th chapter of the 1st Book of Corinthians, known commonly as the “love chapter.” The chapter begins with the premise that love is the supreme quality of humankind. Love trumps the knowledge of languages (both earthly and heavenly), prophetic gifts, intense faith and generosity, and even martyrdom. The writer, Paul of Tarsus, next explains what love is (patient and kind) and what it isn’t (proud, rude, envious or self-seeking). The chapter closes with identifying the three enduring spiritual qualities: faith, hope and love, but then clarifies that, “The greatest of these is love.” The Greatest of These was recorded with the Boston Chamber Choir by Dr. Gerald Grey, a vocal professor in the Fredonia School of Music. Dr. Grey will direct the Fredonia Chamber Choir at NINELive.